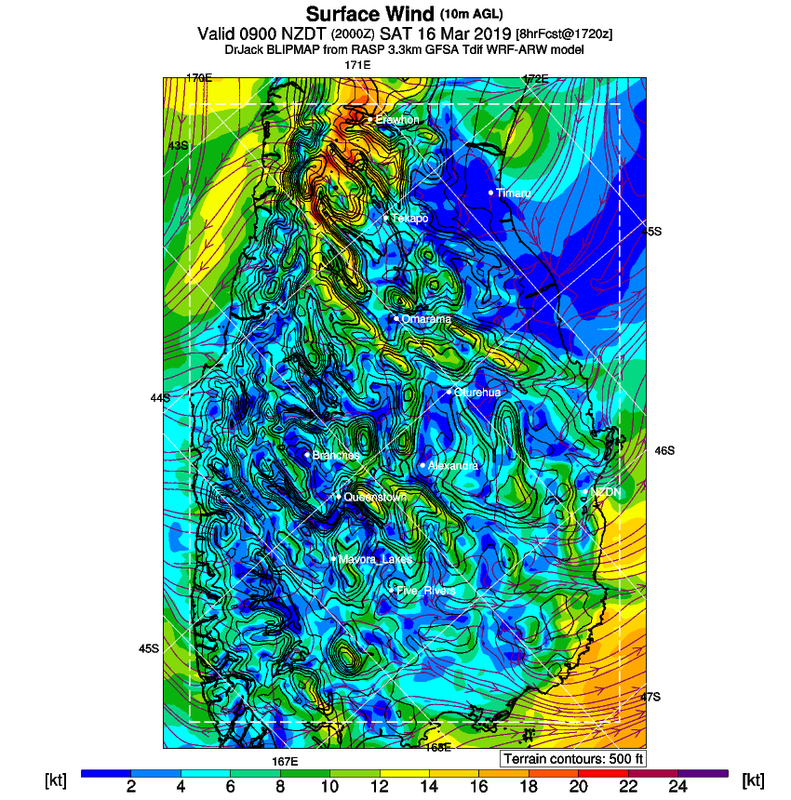 The wind speed and direction at 10m above ground. To get approximate wind at head height out in the open it usually works pretty well to just halve the speed, so 20 knots at 10m is often felt as 10 knots at head height. More info here.